Poker Bo is the exciting new game that combines elements of Poker and Sicbo. 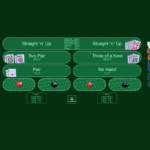 Developed by CLUB Gaming Pty Ltd, a wholly owned subsidiary of Crown Resorts Ltd and exclusively distributed globally by TCSJOHNHUXLEY, Poker Bo is a fast paced game which is set to liven up gaming floors across the globe. Combining elements of two casino favourites, Poker and Sibo, Poker Bo features no competitive element between players and so games are often filled with he buzz of comradery with players watching in suspense to see if their wagers have won anywhere from a 1:1 pay-out to 500:1. 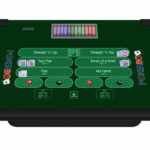 With easy to follow wagers and pay-outs for players and dealers alike, Poker Bo is the perfect game for any casino. 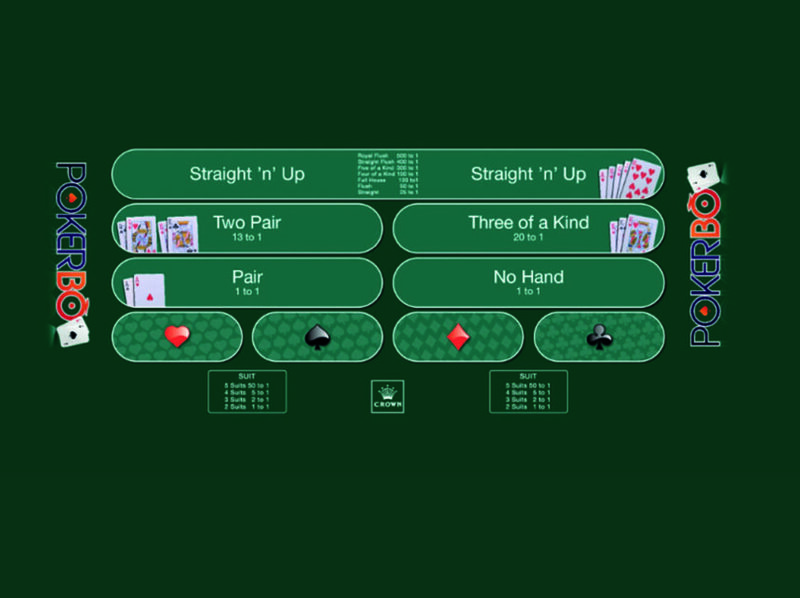 To begin, players place their bets on any combination of the six wager options available; Straight ‘n’ Up, Three of a Kind, Two Pair, Pair, No Hand and Specific Suit. 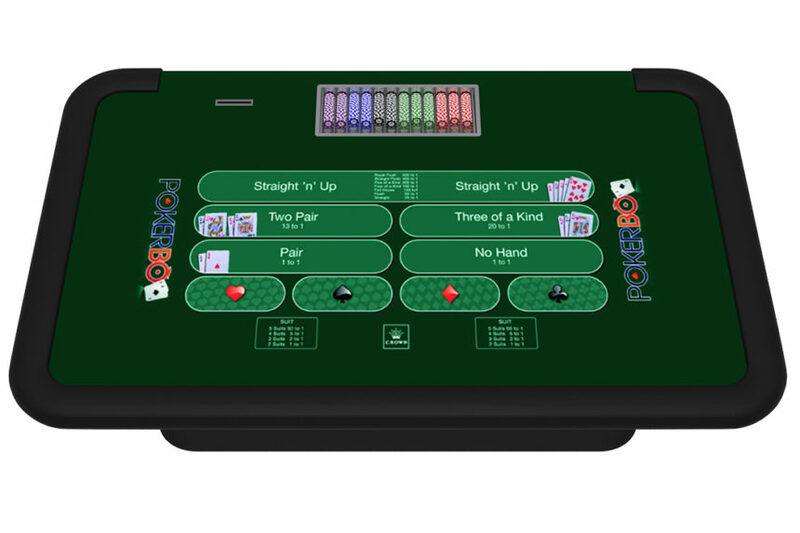 When all betting has taken place, the dealer indicates to all players that there are no more bets. The dealer then draws five cards from the deck and reveals each of the cards. The dealer then checks the card values to see if any Poker hands have been made and checks against each players wagers. If any wagers placed match with a Poker hand, the player is then awarded the appropriate pay-out. For more information including pay tables please download the Poker Bo Customer Information Sheet.